28 Beautiful Milestone Cards to capture those precious moments for you and your little ones. 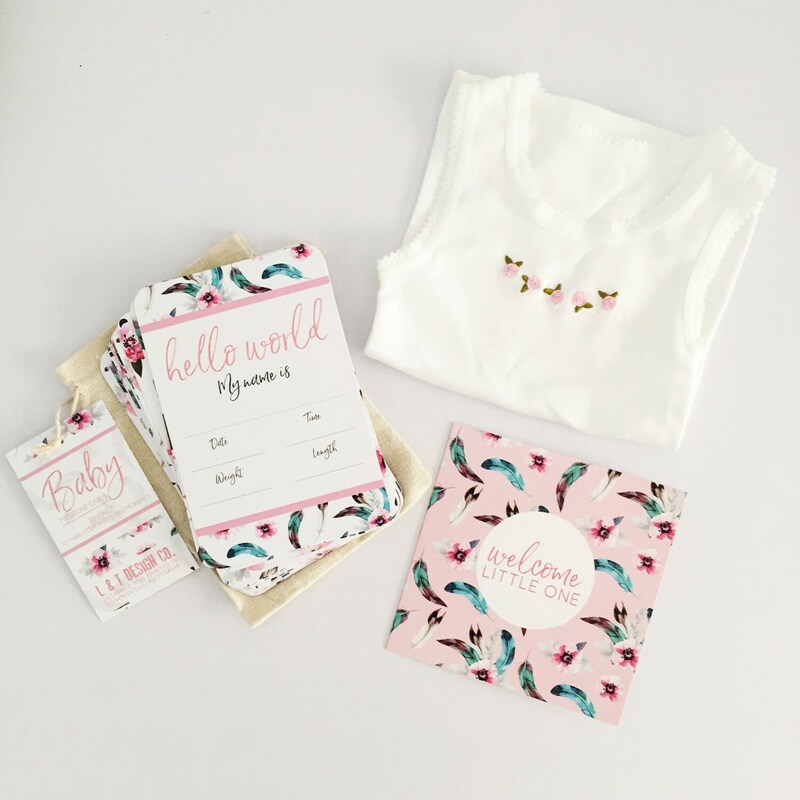 L & T's Baby Milestone Cards come lovingly packaged in a clear cello bag within a sweet calico drawstring bag. 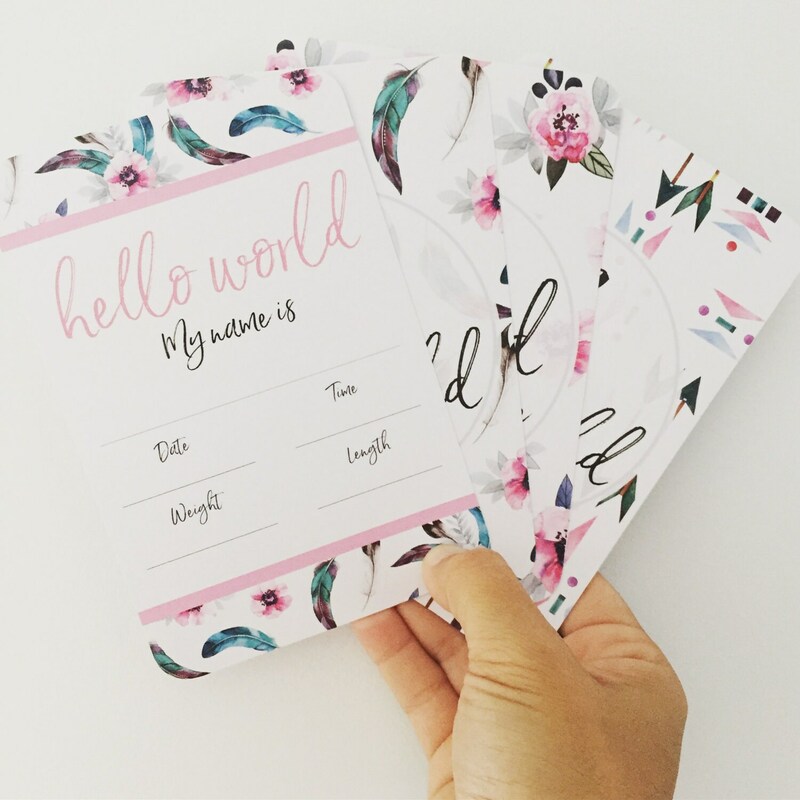 They make the perfect gift for a Baby Shower, or a precious new arrival. Gorgeous baby shower gift. 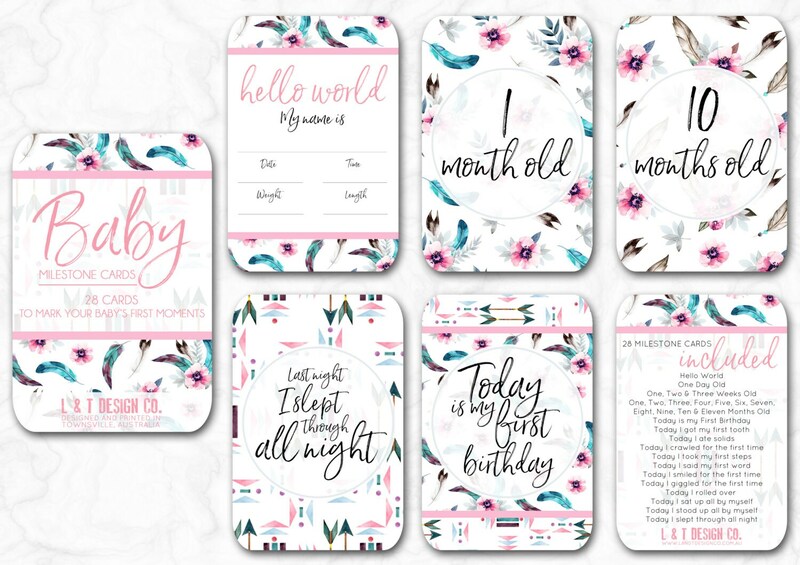 These are the best baby milestobe cards on the market!